I’ve had this idea in my head for a while, but I wasn’t quite sure if it would be a craft fail or a craft success. I’ve been on the design team for PSA Essentials this year, but so far all of my stamping projects have only been done on paper. 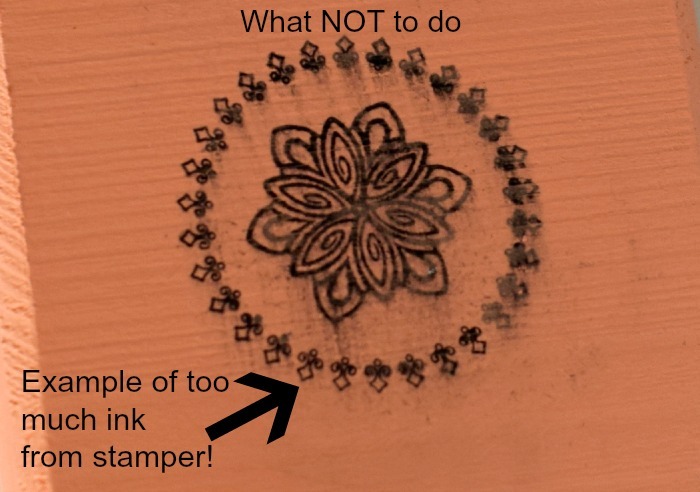 What would happen if I stamped on wood- painted wood, no less? When Family Christian Stores challenged me to create something lovely for Mother’s Day, I decided that now was an excellent time to give my theory a try. The result? It was both a disaster AND a success! 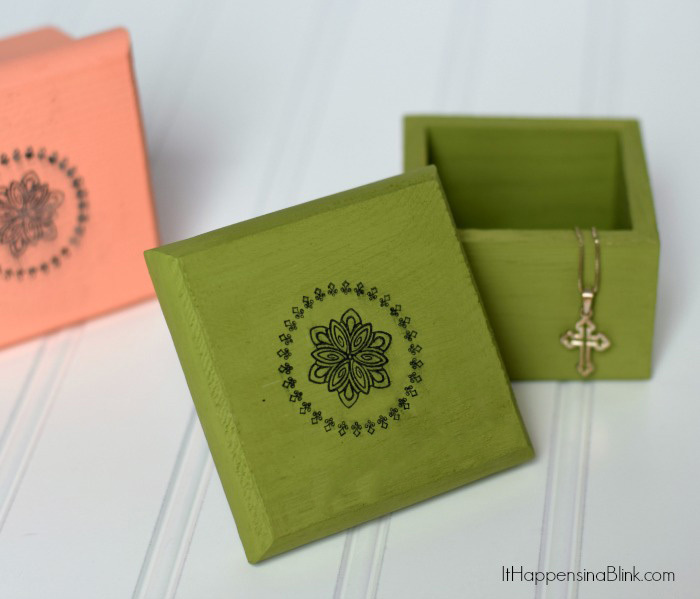 I’m sharing all on the post today as I make this chalk painted and stamped jewelry gift box. 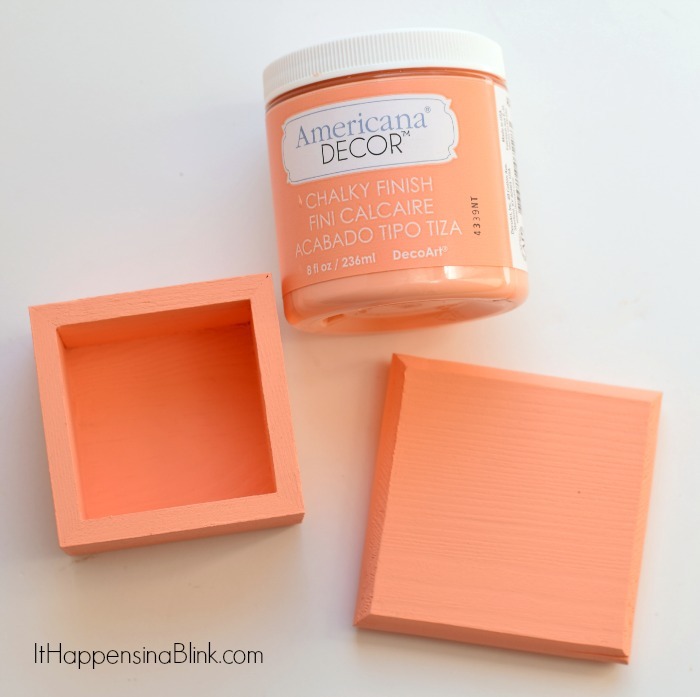 Begin by painting the box with the chalk paint. 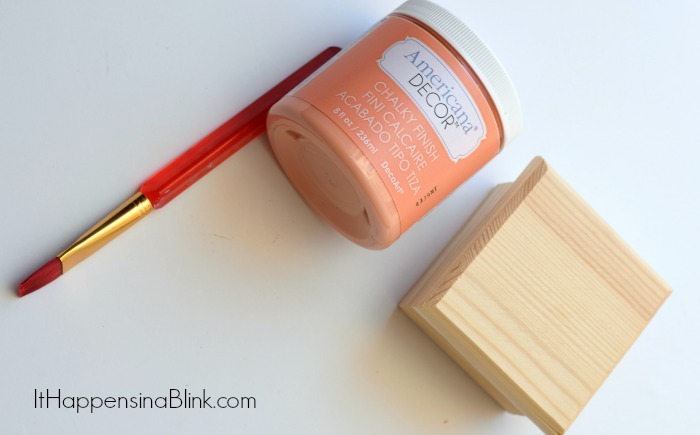 Paint as many coats as needed until full coverage of the entire box is achieved. Let dry completely. Apply the PSA Essentials Peel & Stick stamp to the stamp body. Now is where things get tricky. Hang on and read carefully! Through trial and error, I discovered that stamping on the chalk painted surface does work, but it’s all about the amount of ink that is on the paint. Unfinished wood will absorb the ink, allowing the ink to dry. But painted wood has a barrier- the paint- that prevents the ink from drying. The trick is to apply the least amount of pressure when stamping as possible. You want to transfer the stamped image, but use the smallest amount of ink. This increases the chance that the ink will dry and can be finished. 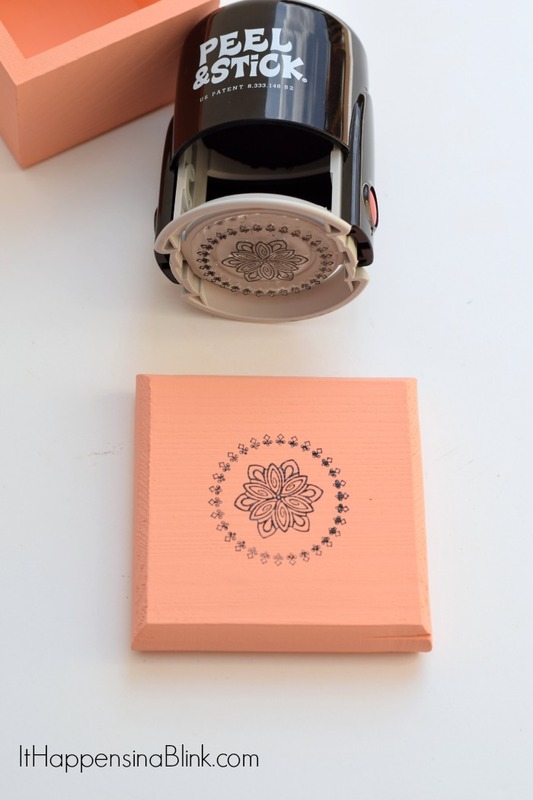 Using a small amount of pressure, apply the stamp to the top of the box lid. On the above example, see the right side of the image? Yep, too much ink. I’ll show you the results of that in a second. If your image looks more like the left side, then it should dry and you can seal it. Once the ink has dried, which may take a day or two, use the wax to seal the paint and stamp. If the ink starts to run slightly, use the paper towel to press down over the image. The smeared ink will lift up and leave only the ink that is in place and can be sealed. 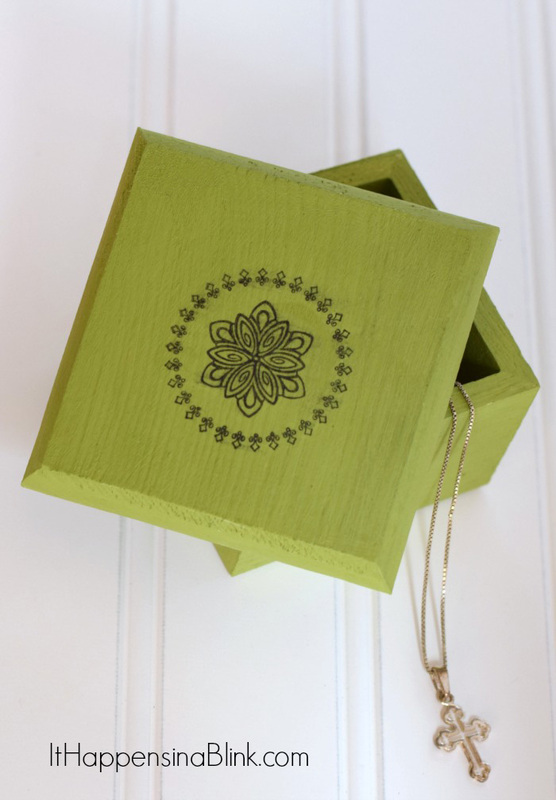 Add your jewelry and the box is ready for gift giving. If you’re looking for a lovely cross necklace or faith inspired jewelry, be sure to check out the selection at Family Christian Stores. It’s where I’m ordering my Mother’s Day gifts this year. 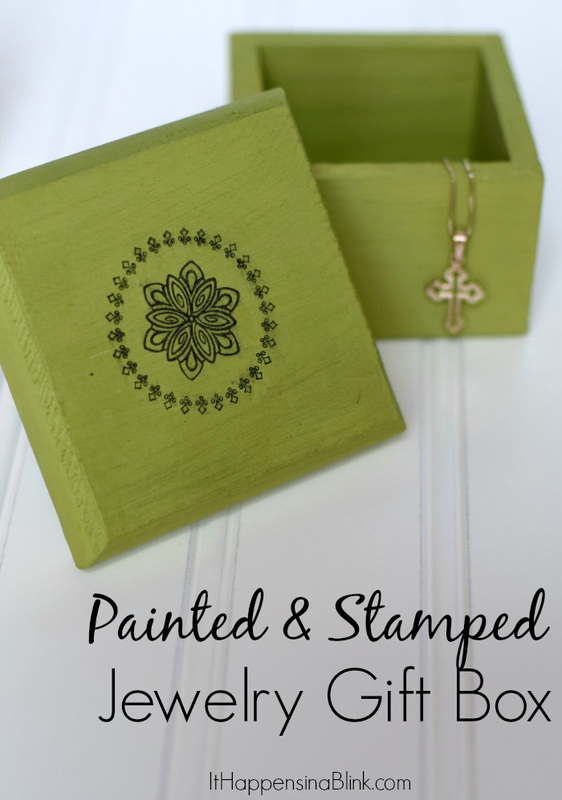 Family Christian always has a good group of jewelry from which to choose, and it will look awesome in a DIY customized jewelry gift box that you’re made especially for your mom!